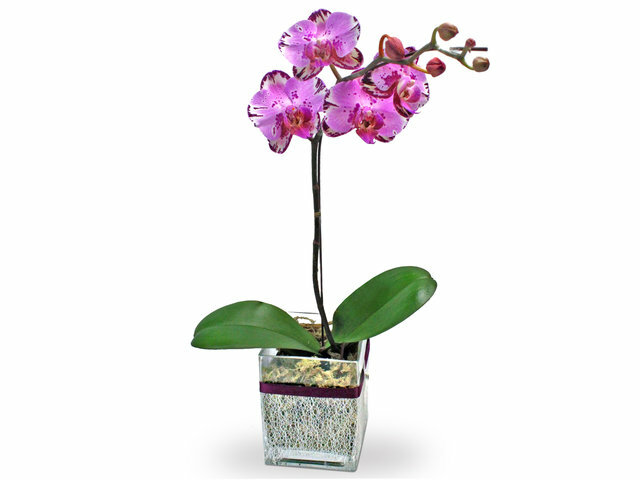 Q: How should I care for orchids? 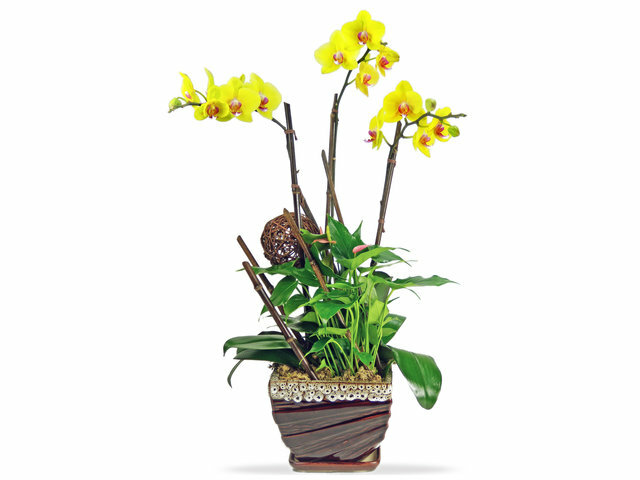 A: Properly cared for, our orchids lasts for 2-3 months with full blossom. 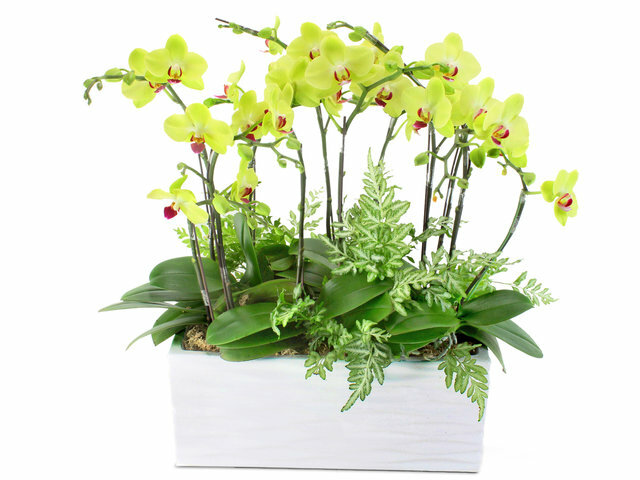 If not properly attended, especially when placed at unventilated area with significant temperature difference (energy saving office in the summer) the lifespan shortens, but still lasts for 3-6 weeks. 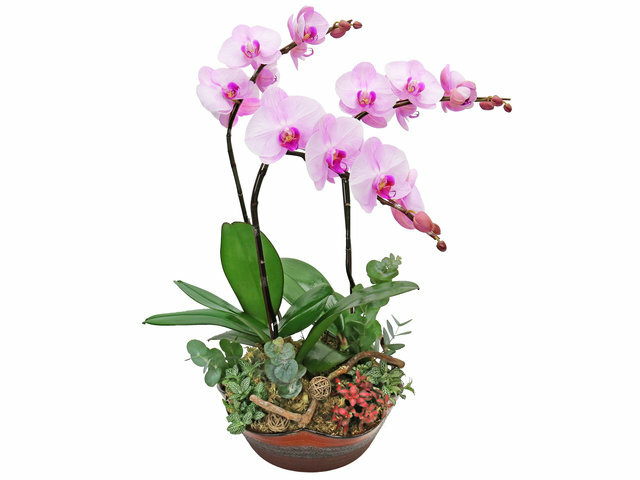 Orchids should be placed indoor in ventilated and shaded area, at constant temperature, and avoid any chemical sprays (including air freshener spray, paint vapour, chemicals used for renovation. 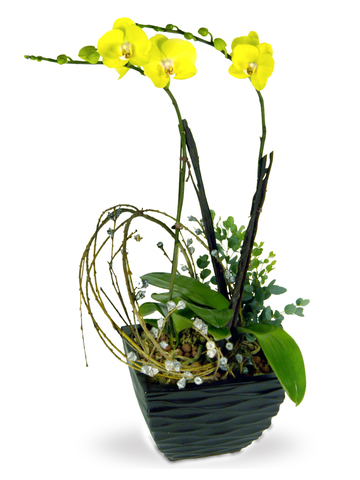 orchids can wilt in a matter of days). 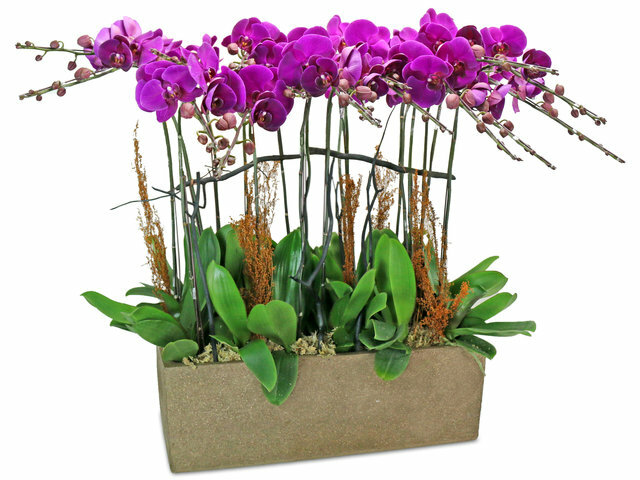 Orchids soil should also stay dry. 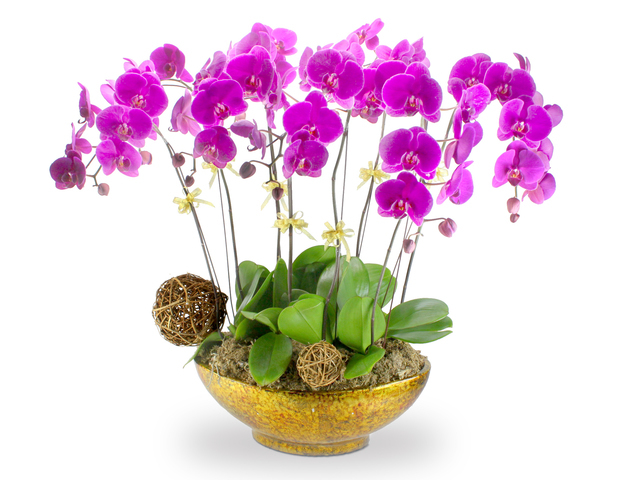 Water once every 2 weeks, with 1/8 to 1/4 of a glass of water, as excessive water can cause flowers and blossoms to fall immediately. 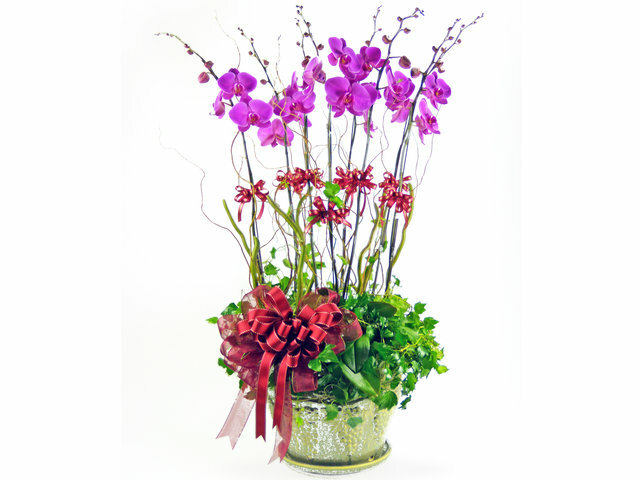 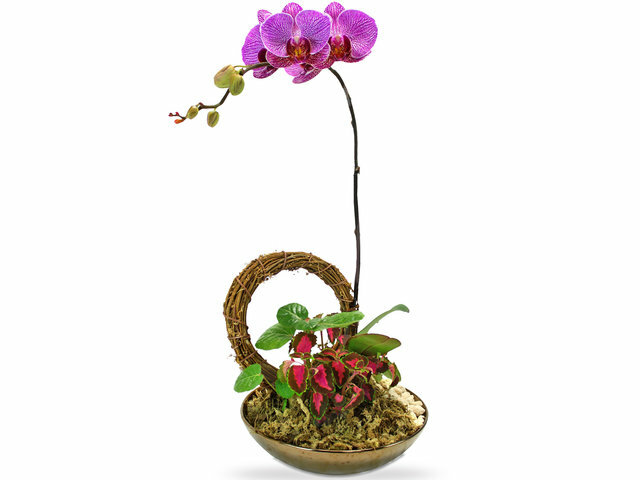 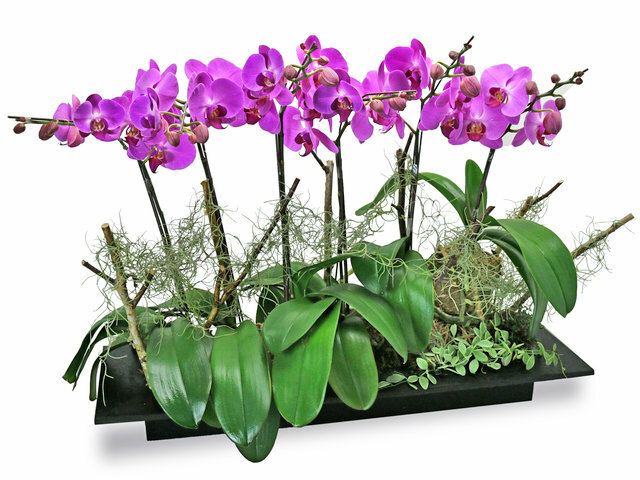 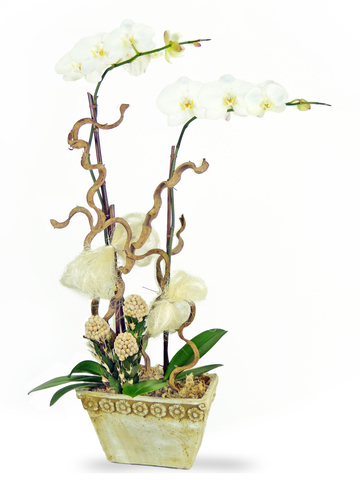 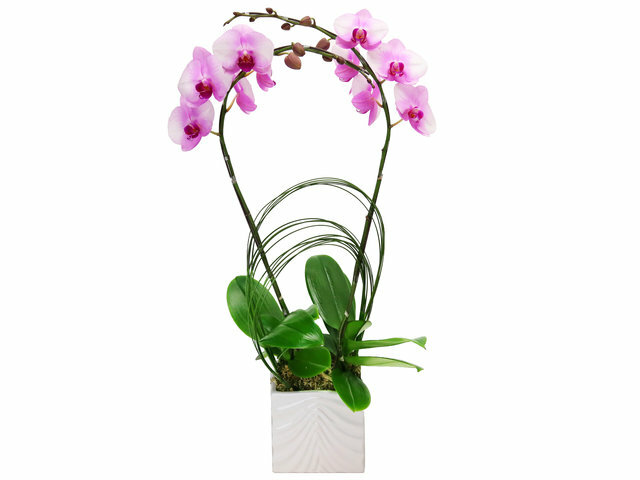 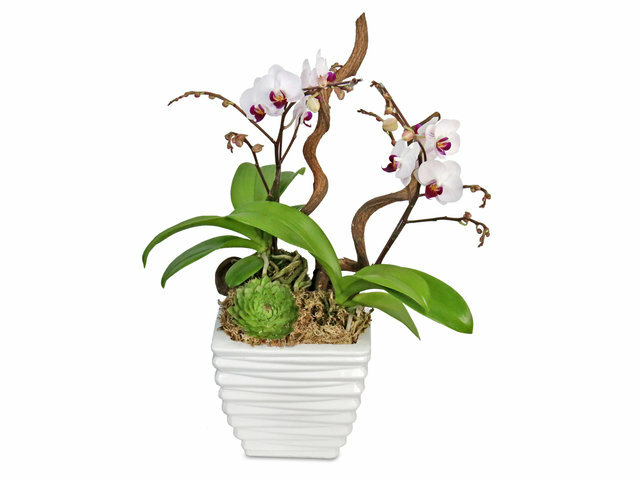 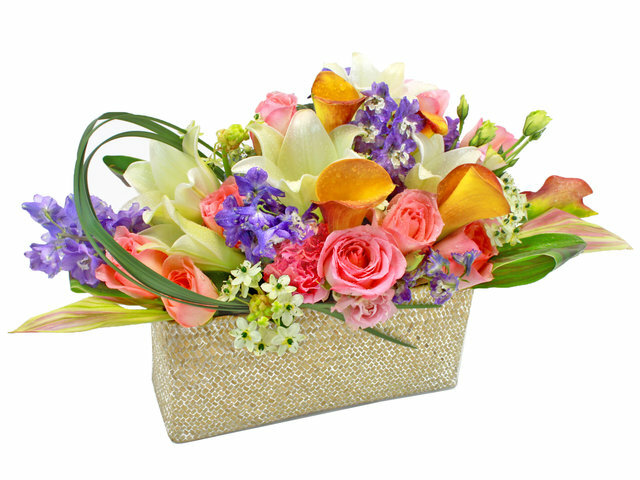 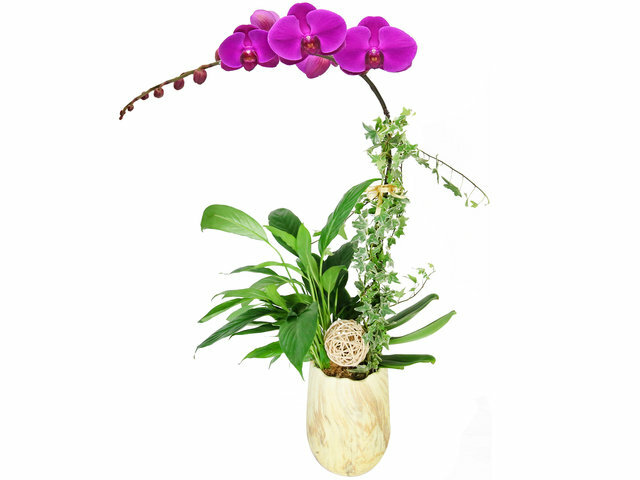 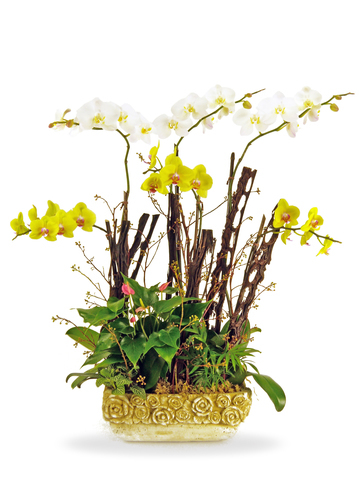 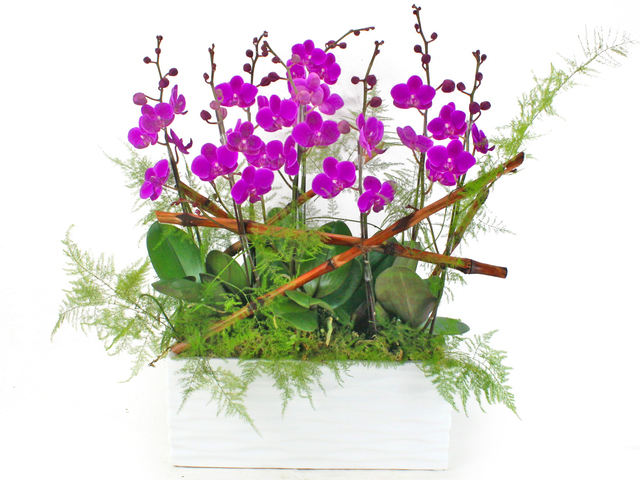 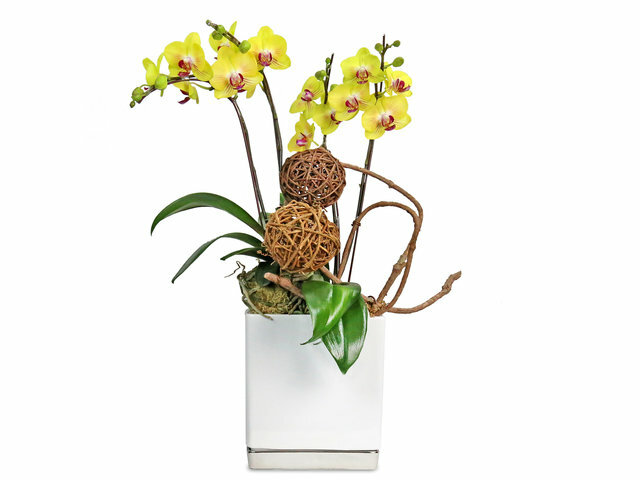 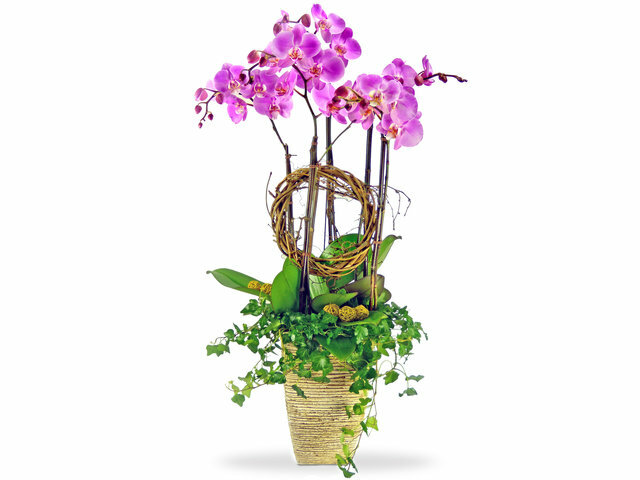 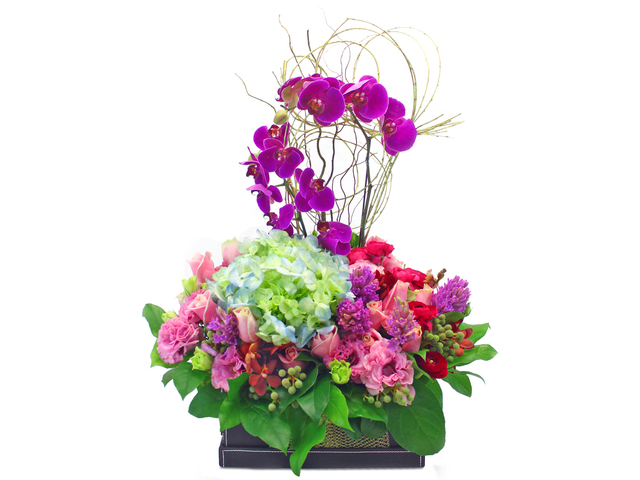 Our professional orchids pieces are made by many florists with over 5 years of experience in Orchids arrangement. 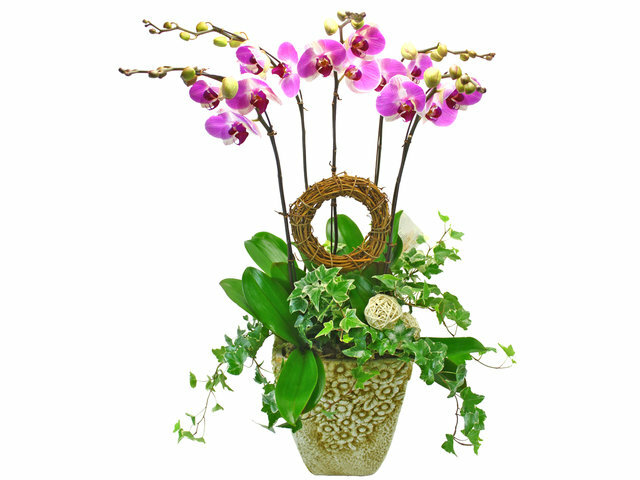 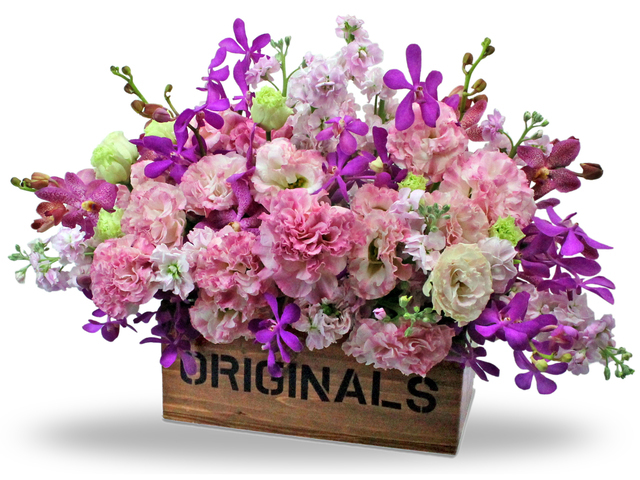 From choosing orchids supplier, to purchasing, to design, to arranging, afixing, and debugging, the Hong Kong Give Gift Boutique flower shop is dedicated to bringing you the best orchids. 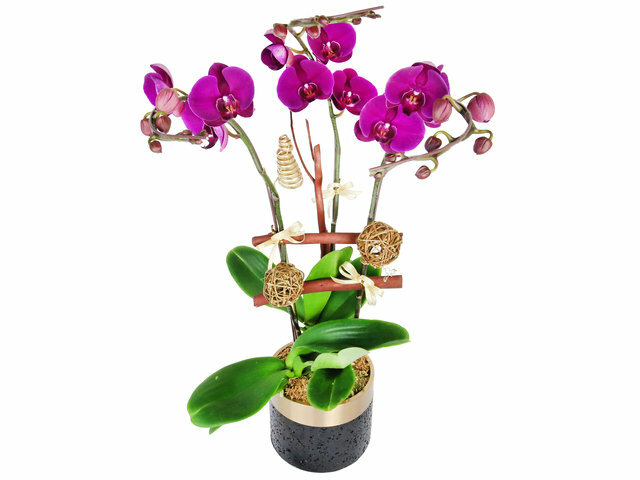 Since new orchids breeds comes out rapidly, and orchids arranging changes like fashion, half of our orchids pieces are tailor made, surely customers can also choose from our grand opening gift orchids catalog. 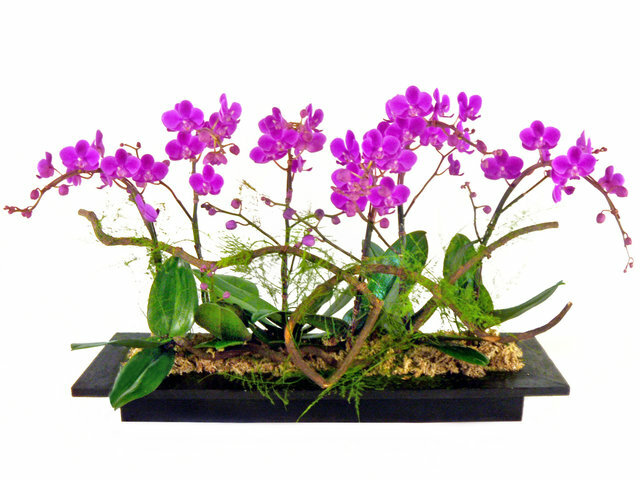 Orchids are mostly for gifting and decoration in Hong Kong. 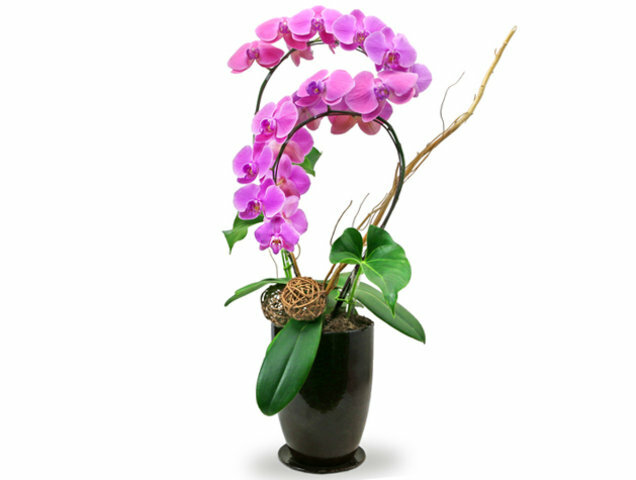 Most orchids gifting are to corporations, including grand opening, moving relocation, congratulations, ceremony, press release performance, on the personal side, birthday orchid is also quite popular. 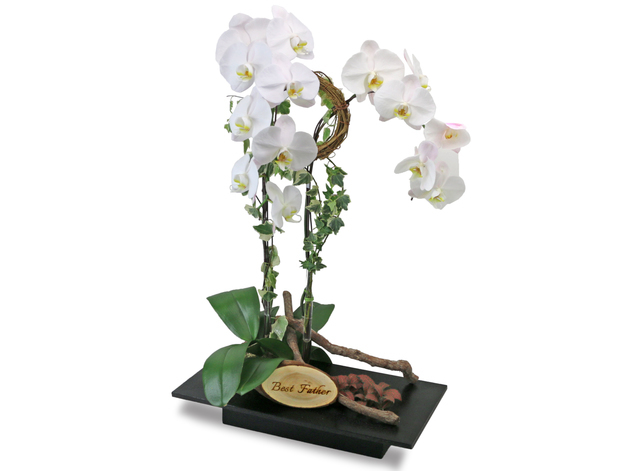 On the orchids decoration side, commercial clients make up the majority. 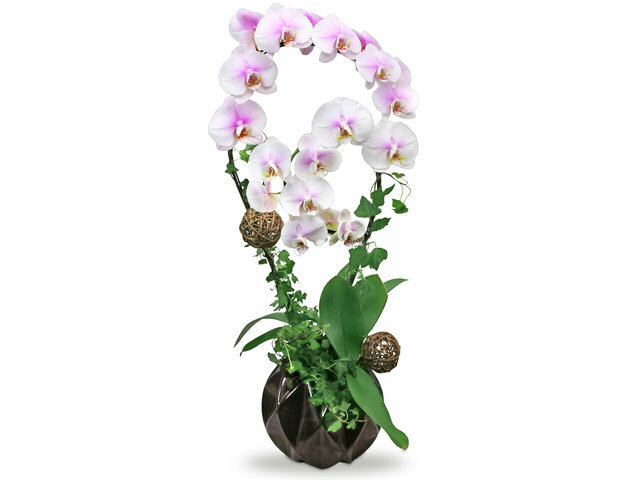 Many personal clients also loves to put orchids in their homes to lighten it up! 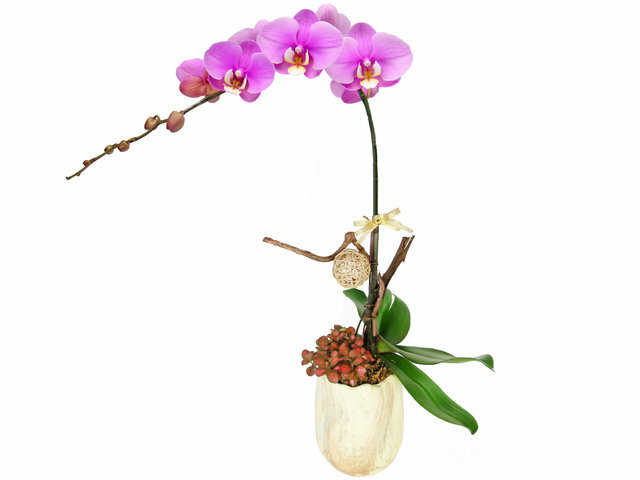 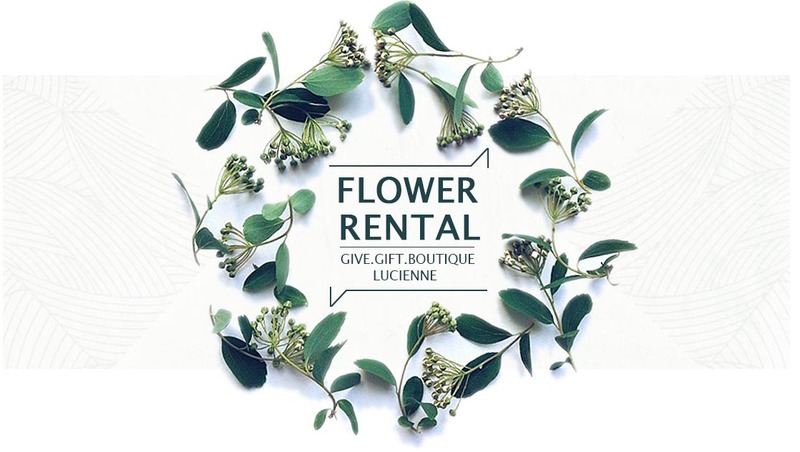 The Hong Kong Give Gift Boutique florist workshop is adjacent to the Mongkok flower market, all orchids are purchased when customers place orders guaranteeing freshness. 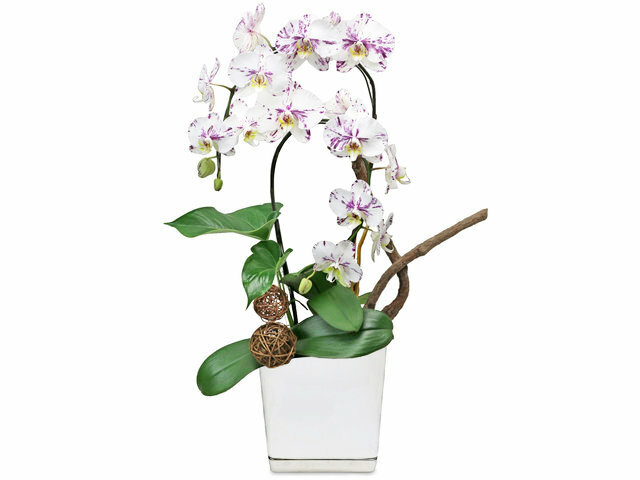 We usually purchase younger stems where half the orchids blossoms has not bloom yet, so it can blossom for the longest time, from at least a month to up to a few months. 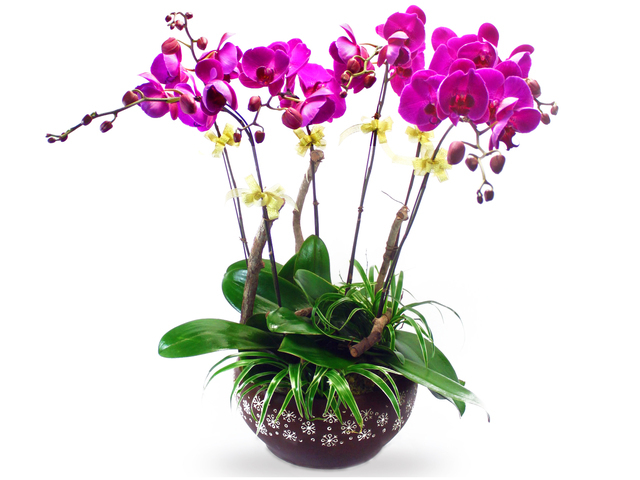 Customers can also request us to purchase orchids that are fuller in blossoms, but the lifespan could be much shorter, and wilts faster. 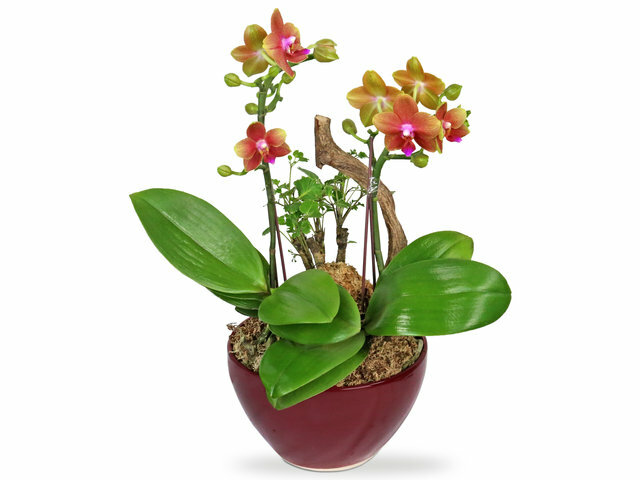 On the maintenance side, each orchid species can require different care, but mostly phaleanopsis orchids, dendrobium orchids, oncidium orchids, cattleya orchids, paphiopedilum orchids would only need 1/4 glass of water every 2-3 weeks, as too much water can be problematic. 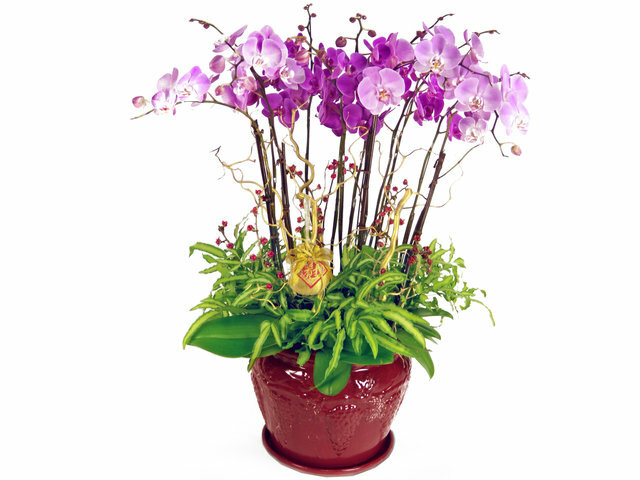 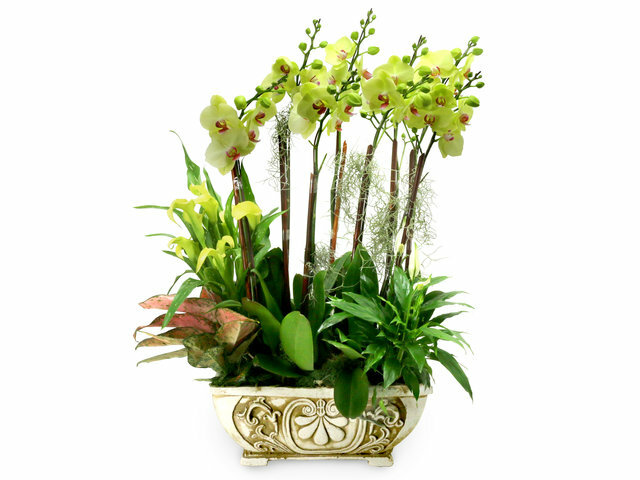 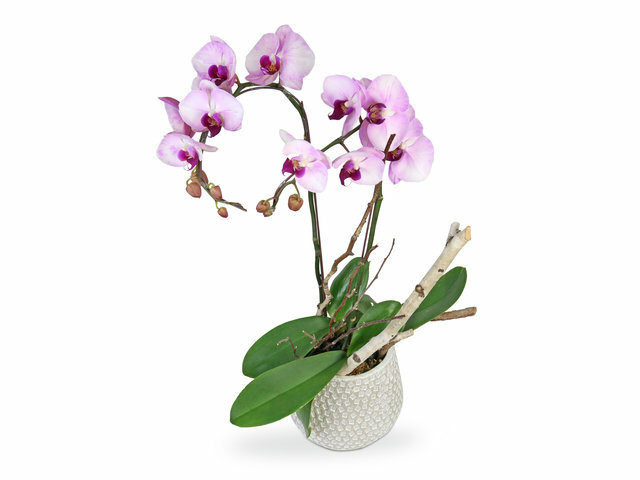 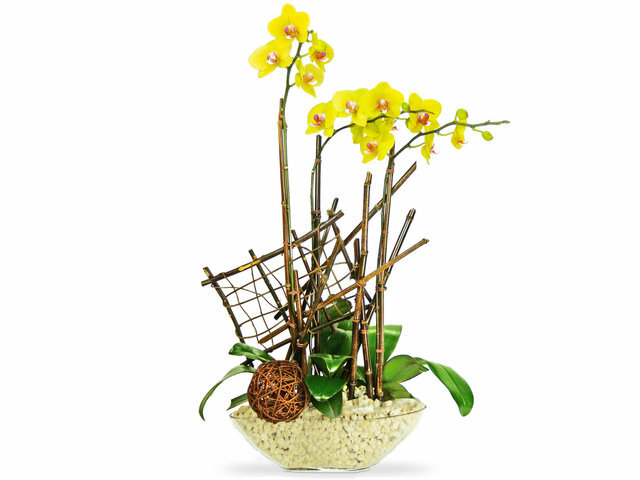 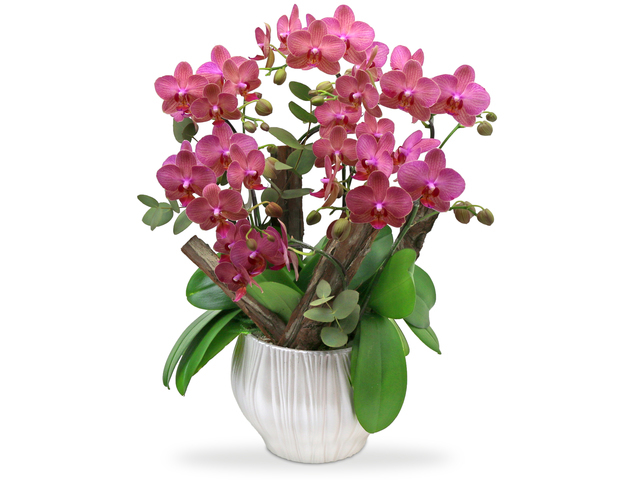 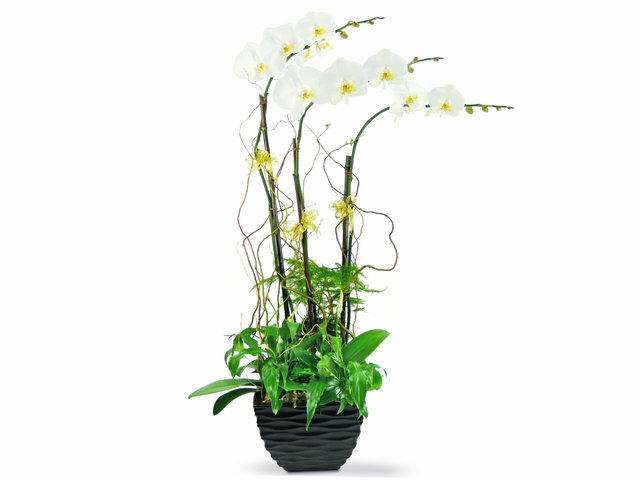 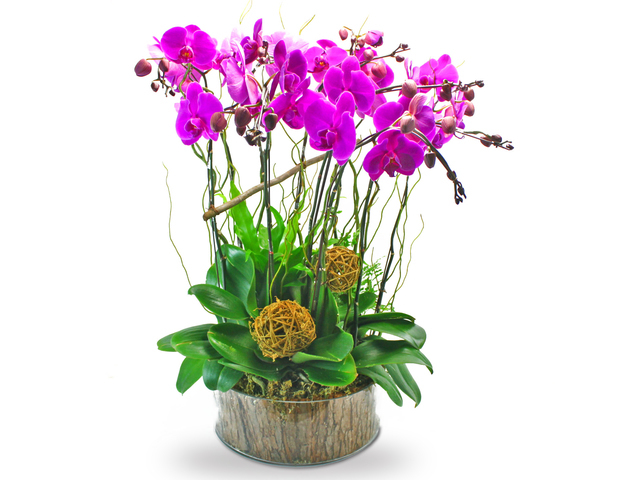 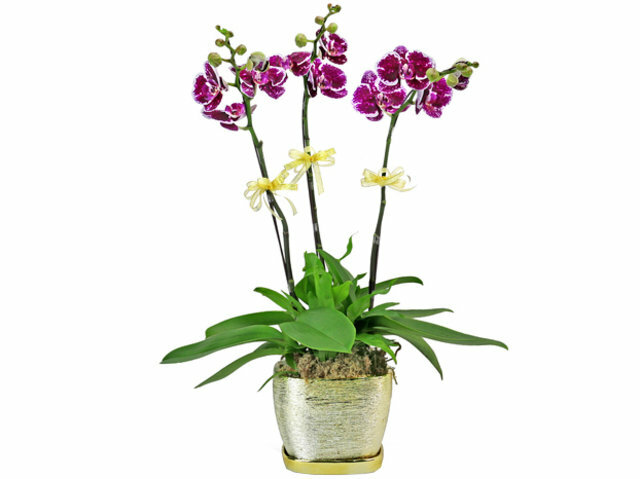 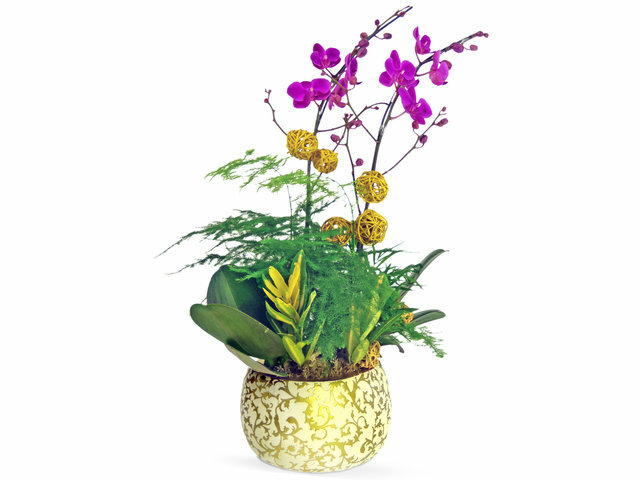 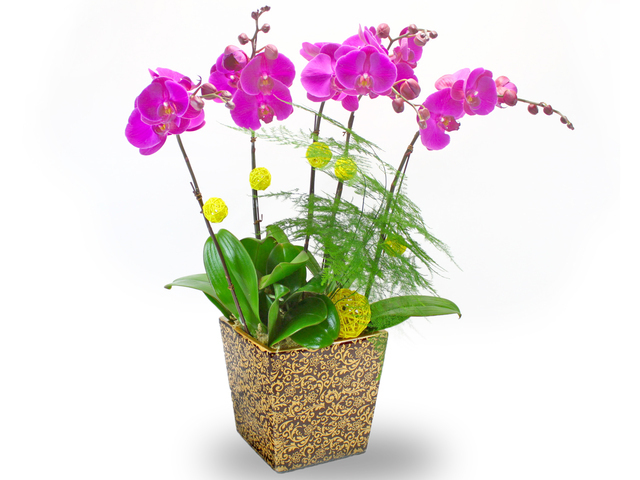 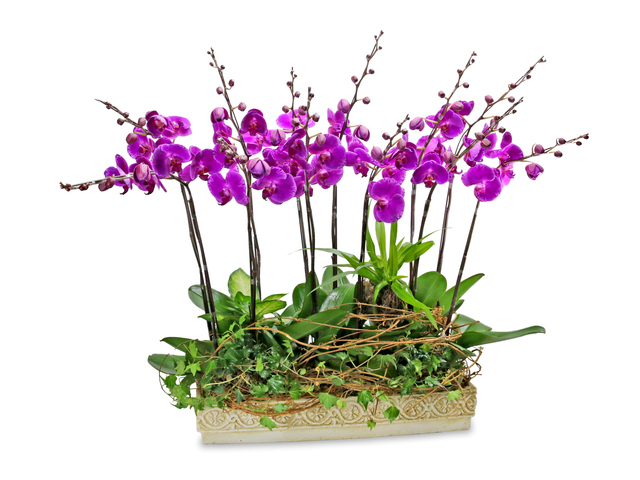 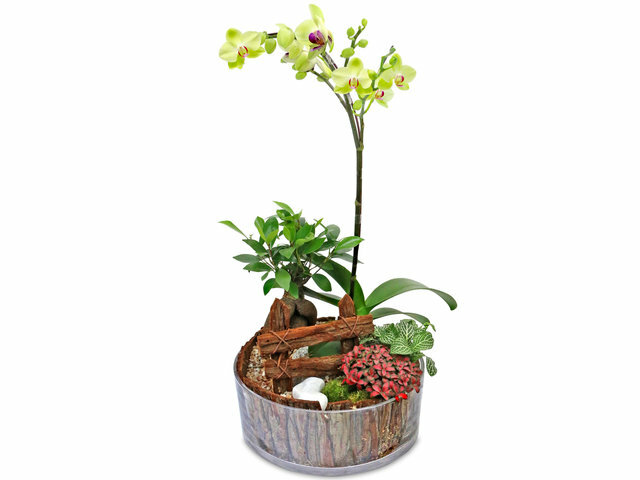 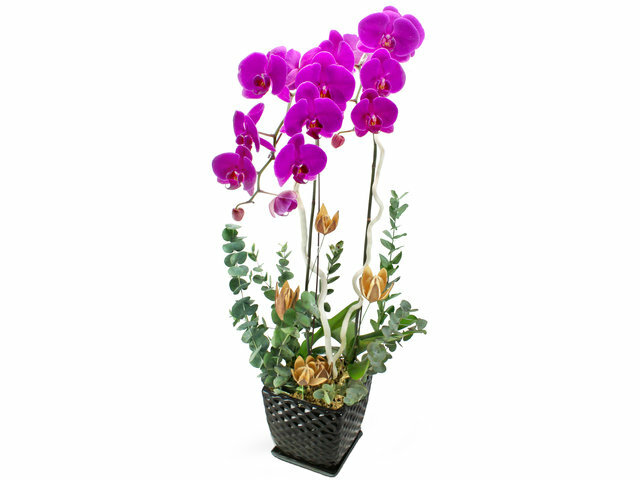 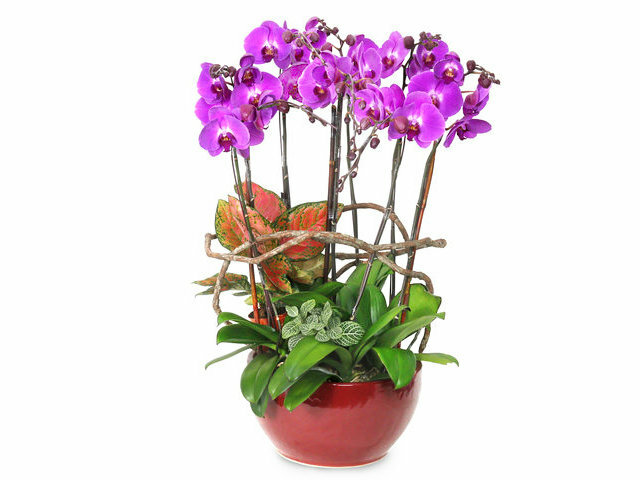 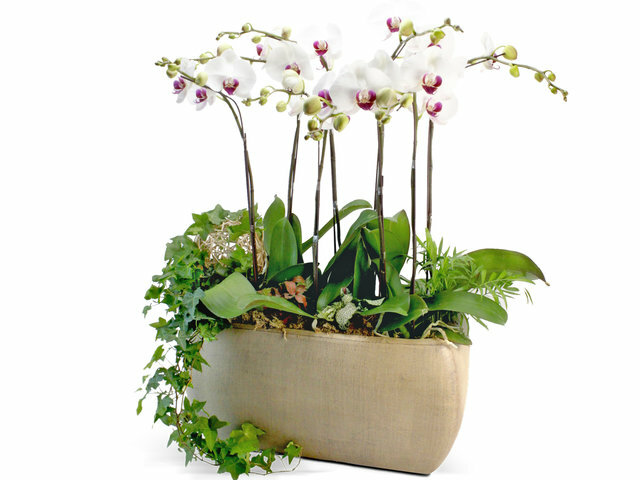 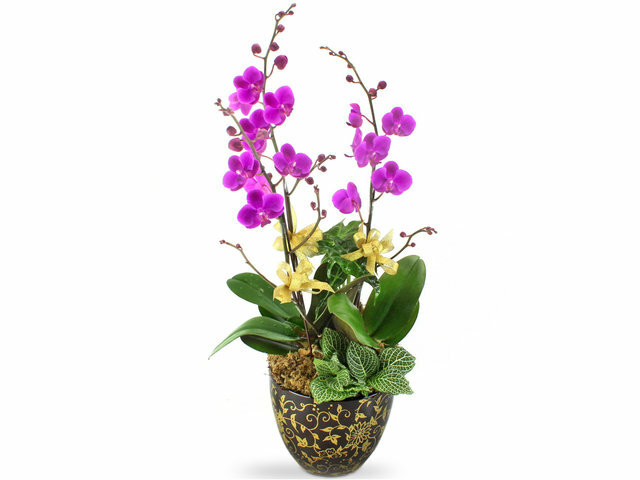 Orchids arrangements usually uses fresh plants, and those plants can receive focus water. 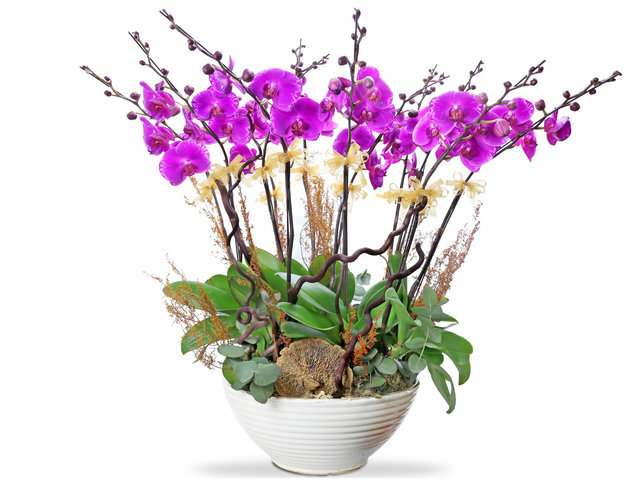 Most orchids in the Hong Kong market are imported, from Taiwan China and Japan, with a small portion from Hong Kong New Territories local orchids nurseries. 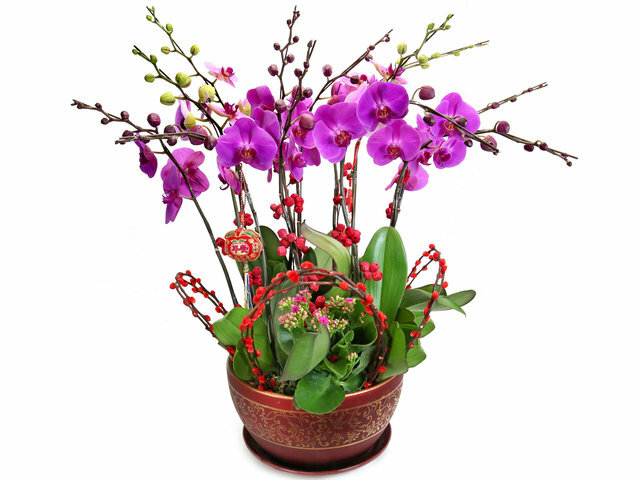 The most typical phaleanopis orchids such as Purple Red, White, Yellow, and smaller sky red, we mostly use Taiwan imports, and also comparable quality China imports. 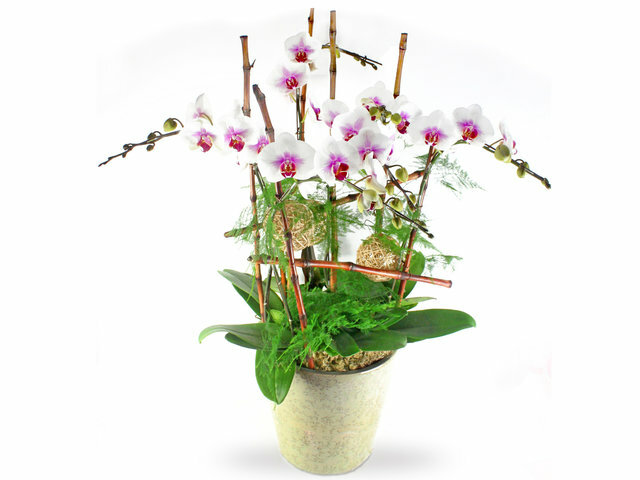 For superior grade orchids each stem with over 12 blossoms costing a few Hong Kong dollars each, the sources are from Japan China and Taiwan also, and China export orchids to Japan are famous for its high quality. 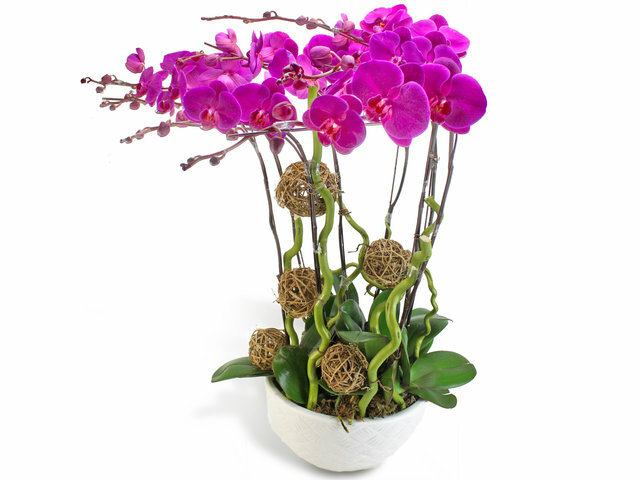 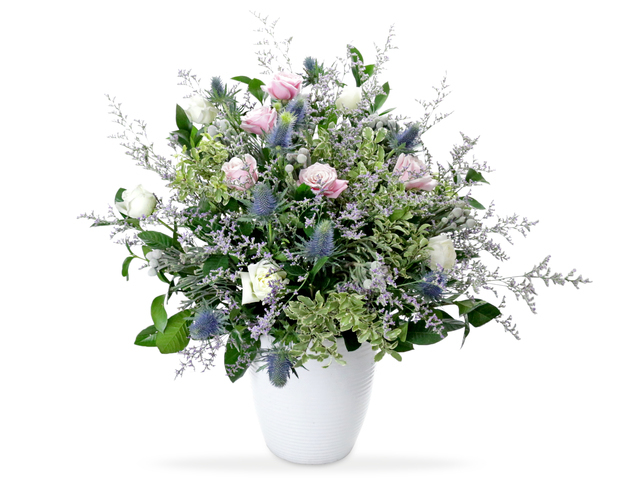 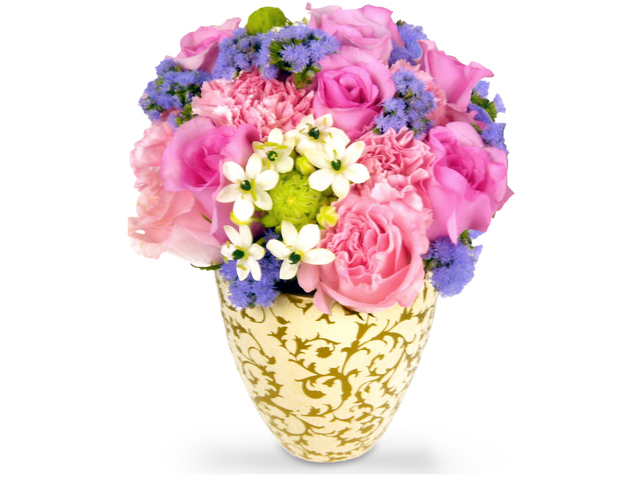 Our florist has a deep and flexible supply chain, our purchaser personally select and purchase from supplier, so each stem is inspected for quality, and we keep no stocks. 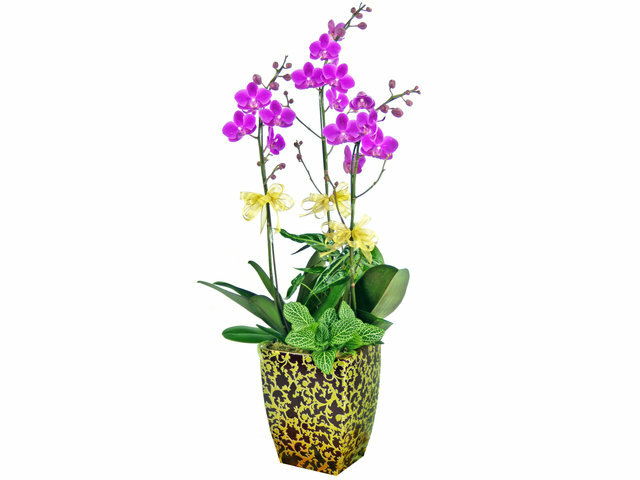 We also are expanding to less common phaleanopsis orchids including firework red apple green japanese lady shinny diamond tiger strips, we also use other orchids species cattleya orchids oncidium orchids dendrobium orchids Paphiopedilum orchids. 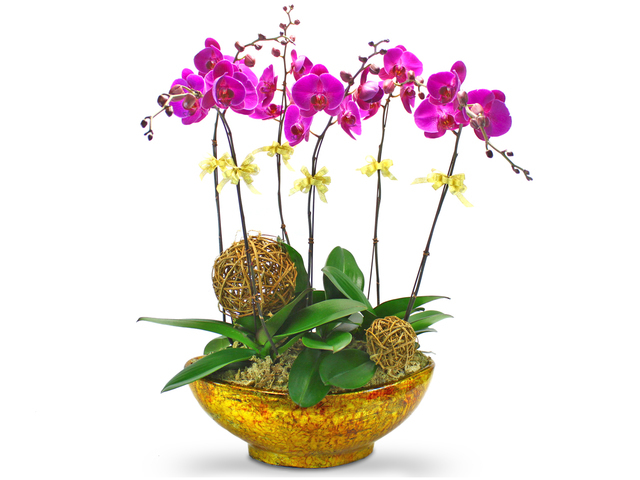 Starting mid-2011, we start to incorporate more design elements and new species into our orchids catalog, for those looking for the something extra for both commercial and non-commercial uses. 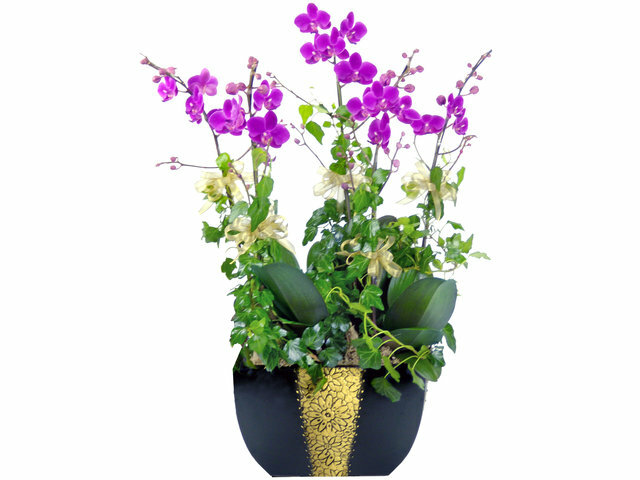 We uses our large storage space as an advantage, and stocks over 80 types of pots simultaneously, with traditional ceramics and glass, and new type pots such as multi layer color torching, super metalic plating. 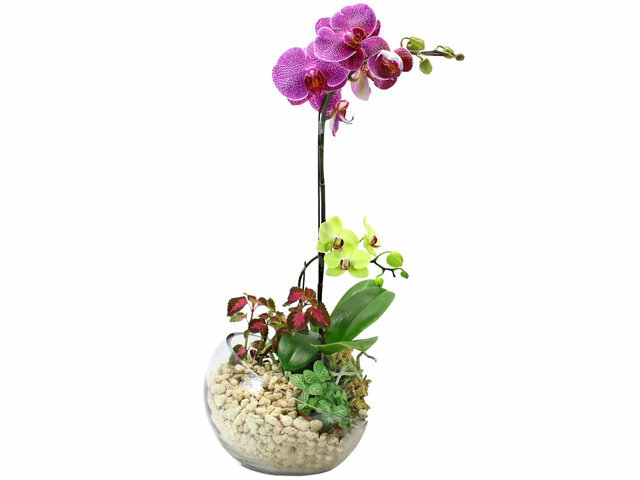 We also have a large range of soiling material, segments, accessories, dried plants and fresh plants to mix and match the your favorite.